Today’s leader needs more than position, power or business acumen. Today’s leader needs more than self-management, communication skills or emotional intelligence. We need leaders who are aligned, aware and accountable. Leaders who have the eyes to see what is possible and who have the power to create the right environment, empowerment and engagement. 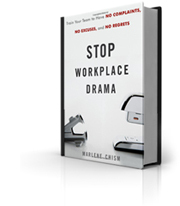 Marlene Chism, consultant, professional speaker, and author of Stop Workplace Drama™ introduces a new leadership model, one that she refers to as No-Drama Leadership. 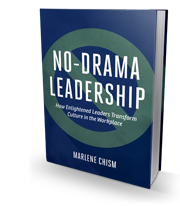 Using case-studies, checklists, and examples from various levels of hierarchy in leadership and from a variety of industries, Chism introduces the mindset-shifts and practical skills needed to develop enlightened leaders. 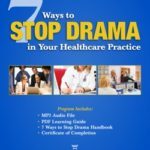 No-Drama Leadership introduces aligned, aware and accountable leaders; enlightened leaders who balance choice and power with wisdom and responsibility—leaders who embrace and embody both the inner game of leadership growth with the outer game of business results, modeling both the mindsets and actions that transform the cultures they lead. Our world needs enlightened leaders at all levels: from the CEO to the supervisor, from the classroom to the boardroom. It will be enlightened leaders who promote culture change in our corporations, our communities and in our classrooms.